Results for "Poisons Around The House"
Alcohol is the most commonly used drug in Australia. Learn about the effects and risks associated with drinking. Accurate, up-to-date information about cocaine, including its effects and associated risks in the short and long term. Many ‘new’ drugs have arrived on the market. Learn about New and Emerging Drugs, or "legal highs", and their effects. Although little is known about the long-term effects of GHB, learn about the immediate risks and effects of consumption. Get accurate and up-to-date information about hallucinogens, including the variable risks and effects of consumption. Foster a positive & protective school environment. This school lesson plan provides an introduction to illicit drugs in sport and associated issues. Learn about the effects and risks of inhalants: substances that are sniffed or breathed in through the nose or mouth. This phone app provides facts about the health of Australians. This factsheet provides advice for school staff around reducing harm from alcohol and other drug use in rural areas. Read our guide to effective communication. 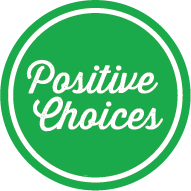 This webinar will show you how to use Positive Choices to make the most out of your drug education lessons. This video explores the consequences of binge drinking at a teenage party. A simple animation for very young children that increases awareness of medicines and possible poisons around the house.